In his book, 10 Natural Laws of Time and Life Management, Hyrum W. Smith relates an exchange during a break with one of his seminar attendees. Smith thought at first the man might be offended. Upon discovering that he wasn’t Smith volunteered to share his personal convictions. Jesus, the Prince of Peace, is the provider of peace. At his birth, the angels proclaimed, “Peace on earth.” However, Jesus did not come to bring political peace, or to end wars among nations. He came to bring inner peace to the human heart. Spiritual peace. Peace within. And peace with God. 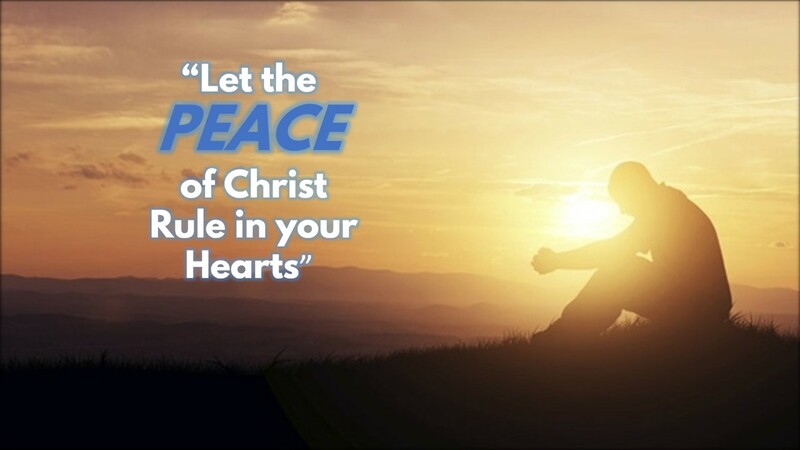 To enjoy the ultimate peace, we must allow the rule of the Lord of peace within our hearts. He is the way to peace. He is the One in whom resides absolute Truth. And He will abundantly enrich our lives. When the peace of Christ rules our hearts, He reigns within us. He’s in control. He directs our thoughts. Feelings. Attitudes. And actions. He’s at the center of our relationships. In the home. In the church. And in social circles. Now in Smith’s words, we have brought together our values with absolute Truth and now our performance, that is our Christian walk, lines up with what we profess. Indeed that kind of life brings peace. If this is so, it raises the question, why are there seemingly so many unhappy Christians? Could it that some professing Christ are not allowing Him to rule in their hearts? That their values are not really in agreement with absolute Truth? Or that they are simply not following what they believe and know to be right? In such cases there no peace. Instead inner conflict reigns. Confusion abounds. And turmoil ensues. When our hearts are filled with fear, multiplied by worry and divided with doubt, there will be no peace. Only discord, distress and disharmony. We are called by the Prince of Peace to a life of spiritual peace in His One Body. It should cause us be grateful. And in that relationship we should enjoy divine reconciliation that soothes the soul. “(May) the peace of God, which surpasses all understanding, guard your hearts and minds through Christ Jesus” (Phil 4:7).